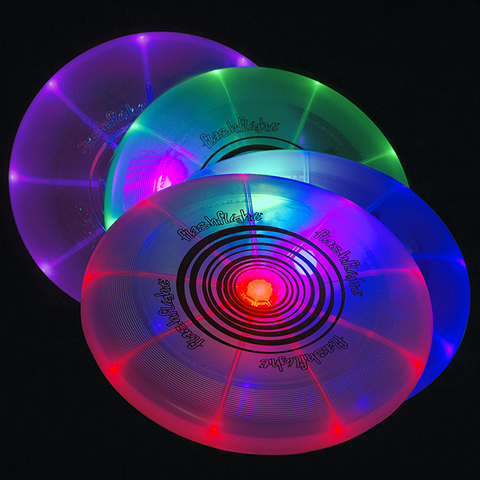 FLIGHT FLASH LED Frisbees lights up with a patented fiber-optic array that extends to its rim, so the entire disc is illuminated from every angle. Made of lightweight, durable materials, with true balance and long, straight flight, it weighs in at 185 grams and looks, feels, and flies like the highest quality non-illuminated discs. Great for lawn, park, and beach games, it's water-resistant and comes with easily replaceable, long-life batteries (2 x CR2016).